My best marathon moment was meeting my wife, Annie at the finish line of my first marathon. I pace to help others achieve their personal bests. It is more rewarding helping others than achieving personal goals. 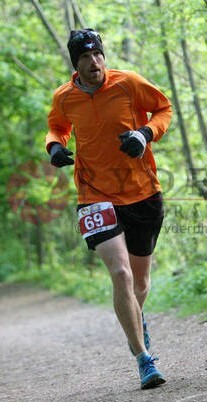 My best pacing experience was during the 2015 Can Lakes 50 miler. I paced my friend, Dan Ward to a 50 PR of 7:28. For a reliable runner…and for a few good laughs. I will do best to make mile 18-26.2 a breeze. Get ready to run a sub 3:25!